How to Make New Orleans Market Ed Reform a Success: Hide RSD Failure Inside an OPSB-RSD Data Blend. represent the most intensive market-based school accountability system ever created in the United States. 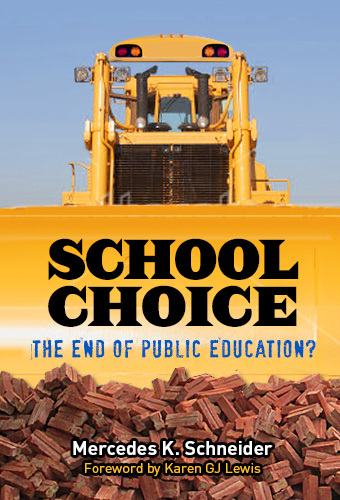 Almost all public schools were taken over by the state, which turned over management to autonomous non-profit charter management organizations working under performance contracts; collective bargaining and tenure were ended, yielding flexible human capital management; and traditional school attendance zones were eliminated, expanding choice for families. More than a decade later, this study provides the first examination of the effects of this package of reforms on students’ short-term and long-term outcomes…. We find that the package of reforms improved the quantity, quality, and equity of schooling in the city on almost every available measure, increasing average test scores by 0.28-0.40 standard deviations, high school graduation by 3-9 percentage points, college attendance by 8-15 percentage points, college persistence by 4-7 percentage points, and college graduation by 3-5 percentage points. These effects translate to 10-67 percent increases over baseline levels. The reforms also apparently reduced educational inequality by race and income on most measures. Friedman’s (1962) call, the district-based “one best system” of U.S. public education was eliminated for the first time since it took shape a century earlier. 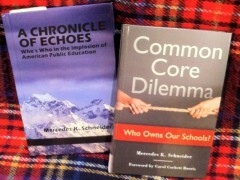 Much history has been excluded from the Harris-Larsen background, including the fact that then-state superintendent Cecil Picard withheld federal emergency dollars from OPSB (and not from other affected school systems), which put OPSB in a position of “all educators were fired” and “allowing its teacher contract to expire.” I have written about these and other issues (and Picard’s and the state legislature’s shady hand in it) in other posts (see here and here and here for some background, or do a deep dive here). When we say “New Orleans schools,” we mean all publicly funded and governed schools in the city, including those authorized by both the RSD and OPSB. The problem here is that OPSB schools were never taken over by the state, which means that the New Orleans “failing school” narrative does not include these schools, and that whether they be direct-run or converted to charter schools, OPSB schools have test-score advantages over the “failing” RSD schools taken over by the state. Moreover, a number of OPSB schools are selective-admission charter schools (see also here and here), which gives even more advantage over state-run RSD schools (and which puts a snag in the “open school choice for families” narrative). It is the OPSB advantage that allows researches to combine post-Katrina, OPSB and RSD data and actually hide the lack of progress that state-run, all-charter RSD has made, all the while selling a generalized version of New Orleans market-ed-reform success to the public. I have seen this ploy in the past from the Louisiana Department of Education (LDOE) in its efforts to conceal low ACT composite scores of RSD schools that it was supposed to take over and reform right into higher test scores, and I am seeing it here in the Harris-Larsen study. OPSB schools are not only chiefly responsible for the results in the Harris-Larsen study; OPSB schools are concealing the mediocrity (at best) that was the RSD, state-takeover-charter-conversion experiment. ….Note that, compared with elementary schools, a large share of high schools (and high school seats) remained under the school district control after Katrina. This is because the only schools not taken over by the state were those that were high performing. Some pre-Katrina high schools were high performing because they were selective admissions. However, most OPSB schools were also turned into charter schools, and all were affected by the move to school choice and the elimination of the union contract. Source: Louisiana Department of Education; Note: ACT composites RSD classes of 2010 and 2011 are likely modestly overapproximated due to removal of data for a few RSD high schools not in New Orleans. As for OPSB versus RSD district letter grades: The Louisiana Department of Education (LDOE) only reported these as separate scores for four years: 2012 – 2015. All four years, OPSB had an A. In 2012, RSD had a D; in 2013, the formula for school letter grades changed. Had RSD’s grade been calculated as it had in 2012, the 2013 district grade would have been a D; however, the new calculation raised it to a C, where it remained in 2014 and 2015. Combining OPSB and RSD data conceals RSD embarrassments, which, in turn, boosts the New Orleans, market-driven narrative. If one follows enrollment trends of New Orleans’ white students, one sees that state-run, lower-scoring RSD is free to be *openly enrolled* by predominately black students, which certainly is an issue of inequity. Any analysis incorporating data from both OPSB and RSD presents a blended picture of all-charter New Orleans progress that duplicitously conceals OPSB vs. RSD disparity, instead placing before the public a false narrative of general success. Harris and Larsen’s blending of OPSB and RSD data propagates that lie. Nefarious skullduggery with data to make the lies credible, wonder if you can send this to NYTimes op-ed in condensed form. Why are we turning over education to economists? Didn’t 2008 teach us anything? When the facts are bad, send in the economists. Numbers are used to disguise facts. Tulane doesn’t even offer an education degree. Undergrads earn a Tulane degree in a content field, not in education. They have a certification program that turns out an average of 14 teachers a year. I have written several times about the econometric turn in education, absurd metrics forced into education for measures of “productivity” etc. Mercedes is uniquely qualified to blast this report from economists who love markets in education above all else. Keep going Mercedes. A New Push For Charter Schools Should Anger Progressives. Here’s Why.